Christian TV Host: Rachel Maddow Called For A Coup In Which Trump Will Be Decapitated On The WH Lawn - Joe.My.God. “America, you’ve been homosexualized. You’ve been Jewdy-ized. I’m just telling it how it is. She was spewing out, last night, calls for revolution. She was telling the left, ‘Take a deep breath, we’re at the moment, it’s coming, we’re almost there, we’re going to remove him from the White House.’ We’re about 72 hours — possibly 72 hours — from a coup. “Be prepared that you’re going to turn on the television and see helicopters hovering over the roof of the White House with men clad in black rappelling down ropes, entering into the White House. Be prepared for a shoot out in the White House as Secret Service agents shoot commandos coming in to arrest President Trump. “That is how close we are to a revolution. 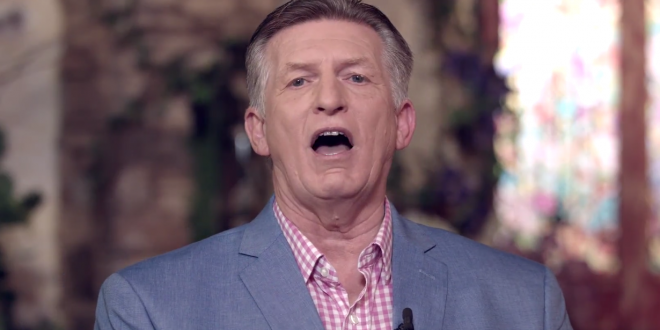 Be prepared for a mob — a leftist mob — to tear down the gates, the fence at the White House and to go into the White House and to drag him out with his family and decapitate them on the lawn of the White House.” – Christian TV host Rick Wiles, speaking last night on the TruNews network.